Overview of the members of the Steering Committee, and the staff of the Office that facilitates the Food & Business Knowledge Platform. Dr. Ir. 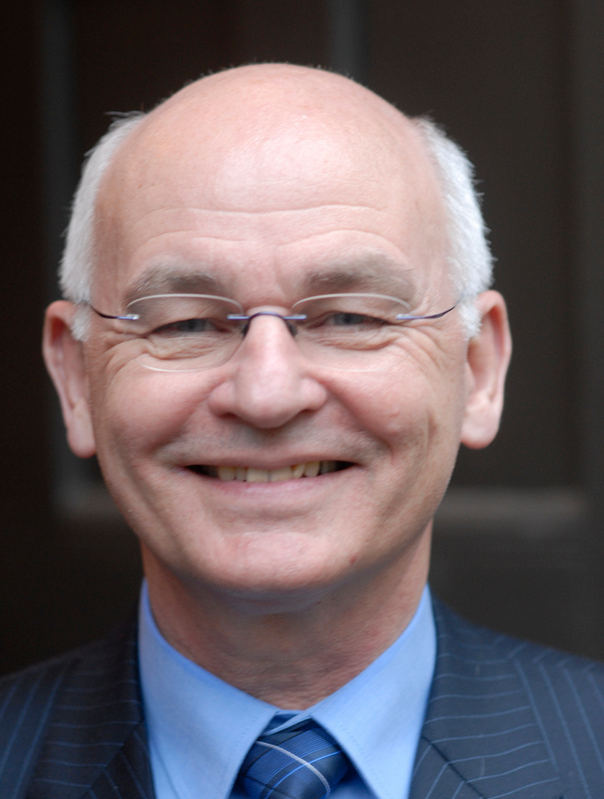 Paul Engel is Director at ECDPM, the European Centre for Development Policy Management, and part-time Professor of Public Policy and Innovation at MSM, the Maastricht School of Management. His primary field of interest is the role of knowledge in policy and its implementation. After long term field work in Africa and Latin America as irrigation and communication specialist, project and programme manager, he joined the Department of Communication and Innovation Studies of Wageningen University, the Netherlands, and directed international research programmes on strengthening multi-stakeholder interaction for agricultural and rural innovation and developed a practical approach and method to facilitate multi-stakeholder innovation for development. A published author (English, Spanish), he also taught social organisation of innovation for water management and agricultural value-chain development at the University of Concepción, Chile. As a consultant he gained long term experience in project, programme and policy evaluation. As manager he directed organisational change in development organisations and networks. Currently, he specialises in global development, policy coherence, impact evaluation and (endogenous) capacity development, with special attention to agriculture, food security, and water resource management. 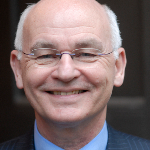 Since 2012 he chairs the Steering Committee for the establishment of the Dutch Food & Business Knowledge Platform. 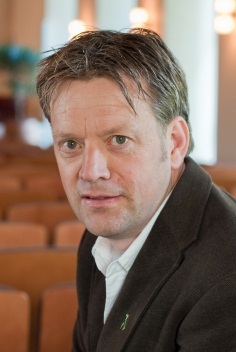 Wijnand van IJssel is currently secretary to the Steering Committee of the Food & Business Knowledge Platform. He is senior policy officer for the knowledge agenda food security at the Ministry of Foreign Affairs. He has been instrumental in the establishment of the Food & Business Knowledge Agenda and its various components such as the Knowledge Platform Office and the research funding instruments at WOTRO. He studied tropical forestry at Wageningen University and worked and lived for 20 years in six different developing countries, employed by FAO, SNV, DHV and Foreign Affairs. In 2006 he returned to the Netherlands posted with FA in The Hague. Wijnand lives in Ede, is married and has three kids. 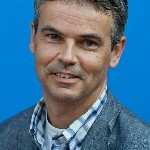 Marcel Beukeboom is Head of the Food Security and Financial Sector Division since August 2012. As a member of the Management Team of the Department for Sustainable Economic Development, he is responsible for the development and implementation of Dutch policies for food and nutrition security, and financial sector development. Before his return to the Netherlands he was Counselor for Trade and Multilateral Affairs at the Dutch Embassy in Washington DC. As such he dealt with bilateral and transatlantic trade relations, US and EU trade politics, and multilateral organizations like WTO, Worldbank and IMF. 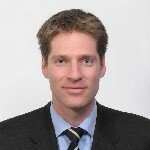 Prior to his posting in the United States, Marcel Beukeboom served as advisor to the Director-general for Regional and Consular Affairs in the Ministry of Foreign Affairs in The Hague. From 2000-2004 he was posted in Pretoria, South Africa, as second secretary for political affairs and development cooperation. After finishing his diplomatic training in 1998, he started his career in the MFA in the Department for Budgetary Policy. 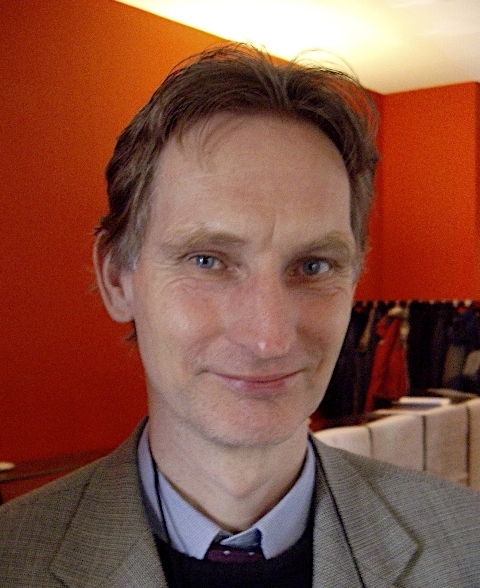 Marcel Beukeboom holds a Masters title in International Relations (University of Groningen); in 1997 he did his internship in the Department of Political Affairs, in the Secretariat of the United Nations in New York. He is an alumnus of Harvard’s Kennedy School of Government, where he followed the Practice of Trade Policy Program in 2009. 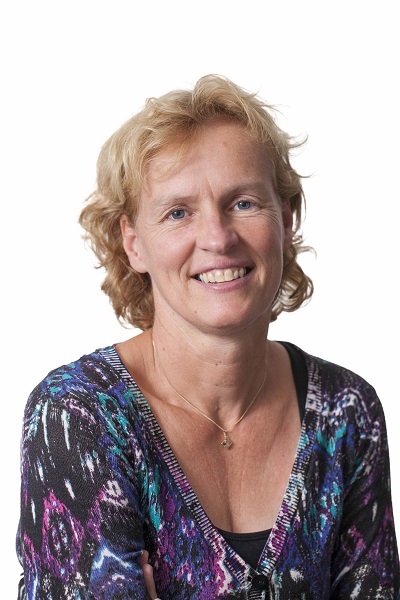 Heleen Bos is Responsible Development Projects and Account Manager Organics at Rijk Zwaan. Heleen has more than 20 years of experience in development projects; she lived and worked in Mozambique, Nicaragua, Bangladesh and Spain. 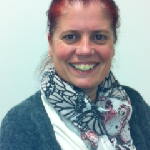 From January 1988 till July 1994, Heleen worked for the Dutch Development Organisation S.N.V. at the Instituto Nicaraguense de Tecnologia Agopecuarua in Matagalpa, Nicaragua. She was Adviser on participatory extension methods, enterprise development & gender policy and strategy; and Researcher on farmers and local seed systems in small-scale farming. From May 1997 till January 2001 she worked in Bangladesh for DG Interprojects GmbH as Consultant/Deputy Team Leader on Farmer Based Seed Enterprise Development (Training/Gender Expert). Since 2007 Heleen is responsible for international contacts and content development of Rijk Zwaan’s small scale projects on vegetable production in developing countries. She is involved in projects in Tanzania, Kenya, Guatemala and Peru. One of her main projects is in Tanzania with Afrisem, which aims at developing improved varieties of African vegetables to local farmers and developing the horticultural sector in Tanzania and Kenya. These hybrid varieties should enable growers to realise a good yield, be resistant to any pests and diseases and meet the wishes of the local market. 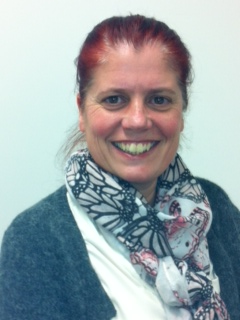 Heleen has also a commercial task within Rijk Zwaan as Account Manager for the Organic Programme world wide. Myrtille Danse is the Executive Director of the BoP Innovation Center. Myrtille is an internationally recognized expert on the intersection of business strategy and sustainable poverty alleviation. She facilitates the design of enterprise strategies and poverty alleviation approaches for low-income markets, developing capabilities of new market entry, building cross sector collaborations, and evaluating the sustainability impact of business ventures. She has almost 20 years of experience on value chain development and inclusive business strategies with Multi National Enterprises and local private sector in transition and developing economies. This experience was obtained as a project leader of numerous international business development projects in Europe, Africa, South East-Asia and Latin America. 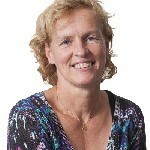 Her experience as a private sector advisor, including more than 8 years in Central America- policy advisor and trade attaché of the Dutch Ministry of Foreign Affairs, and advisor on local private sector development for an international NGO on development cooperation, enables her to mediate between the private sector and vital societal actors required to develop successful pro-poor market-based innovations. 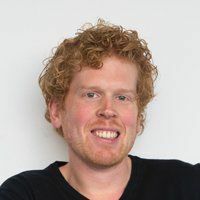 Toon Keijsers studied industrial engineering (MSc) at Eindhoven University and business administration (MBA) in Brussels. He is lecturer International Food & Business & coördinator International Projects at HAS University of Applied Sciences. Before joining HAS, he has worked in capacity building & private sector development programs with the Netherlands Ministry of Foreign Affairs in Africa & Asia and with the Netherlands Development Organisation (SNV) in Latin America. After his field assignments, he has worked in the field of strategic partnership & business development in the head office of the Netherlands Development Organisation (SNV) in The Hague. Toon has extensive international experience, specifically in capacity building programs and development of strategic partner networks. 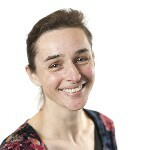 Adrie Papma is Associate Director of Oxfam International. Adrie worked at the University of Leiden, SNV, Ministry of Foreign Affairs and Hivos. Since the early nineties she joined Oxfam Novib and fulfilled various functions, starting as an expert on food security and nutrition, worked in various international campaigns of Oxfam, – such as Make Trade Fair-, leading the alliance building. In 2002 she joined the Board of Directors of Oxfam Novib and was amongst others responsible for alliance building and for the relations with the private sector (agri-food business, financial sector). She has been leading various campaigns in The Netherlands such as De Groene Sint – campaign for sustainable cacao and De Eerlijke Bankwijzer – campaign for sustainable banking. Today she is working with Oxfam International to give shape to the Oxfam of the future. Adrie has performed several governance roles of amongst others INTRAC, World Social Forum, Partos, EVS, IDH, AIV/COS, Agriprofocus, Begeleidingscommissie Campagne WUF Food for Thought – Thought for Food. She studied Sociology at Wageningen University and The Hague Institute of Social Studies. 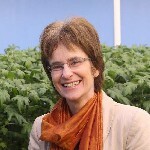 Frederike Praasterink studied Horticulture at Wageningen University and then worked for several years at two Research & Development departments in the agrochemical/pharmaceutical business. After that, she gained extensive international experience at the Food & Agricultural Organization of the United Nations (FAO) in Bhutan and the Philippines. As of 1996 she worked as international consultant in the field of participatory training / crop production & protection / Farmer Field Schools / institutional capacity building for regional IPM programmes of FAO in several countries in Asia, Central and Eastern Europe and the Middle East. 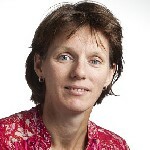 At the end of 2006, Frederike started working for HAS University of Applied Sciences as programme leader Food & Health and as lecturer Sustainability. 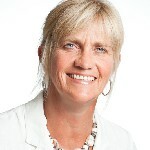 In 2010, she was appointed as (associate) professor Sustainable World Food Supply. Within this professorship she worked on knowledge development and education on implementation of sustainable production practices and responsible international business. 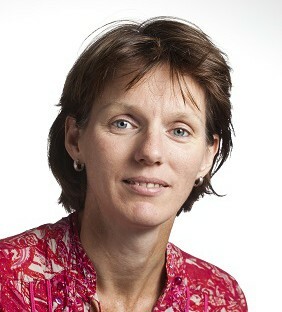 In 2012 Frederike became member of the Executive Board of HAS University of Applied Sciences. Her responsibilities include knowledge development, innovation & applied research, and internationalisation. HAS University of Applied Sciences is a specialized knowledge and education institute in agriculture, food and green environment. All study courses have an additional focus on sustainability and entrepreneurship. 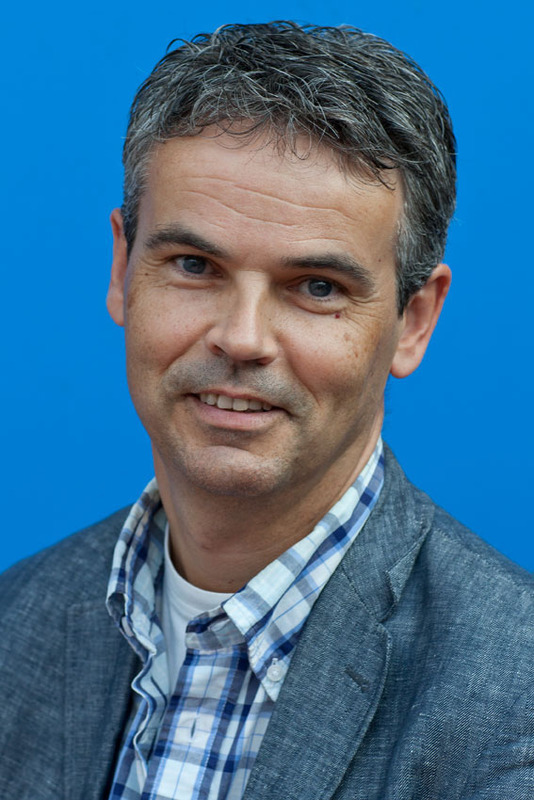 Arjen Wals is a Professor of Social Learning and Sustainable Development at Wageningen University in The Netherlands and a UNESCO Chair in the same field. He is also an Adjunct Faculty member of the Department of Natural Resources of Cornell University and the current Director of the Centre for Sustainable Development and Food Security based at Wageningen University. This Centre seeks to link education, research and community-engagement in innovative ways to help achieve sufficient, healthy and enjoyable food for all now and in the future without compromising the carrying capacity of the Earth’s ecosystems. 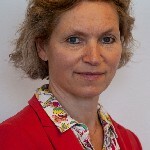 Annette Wijering is manager at the Knowledge Department of the Directorate-General Agro of the Dutch Ministry of Economic Affairs. The Ministry emphasises the vital contribution agricultural knowledge and innovation can make towards meeting our objective of feeding 9 billion people by 2050. The Ministry therefore actively supports food security efforts in many ways and through various projects. 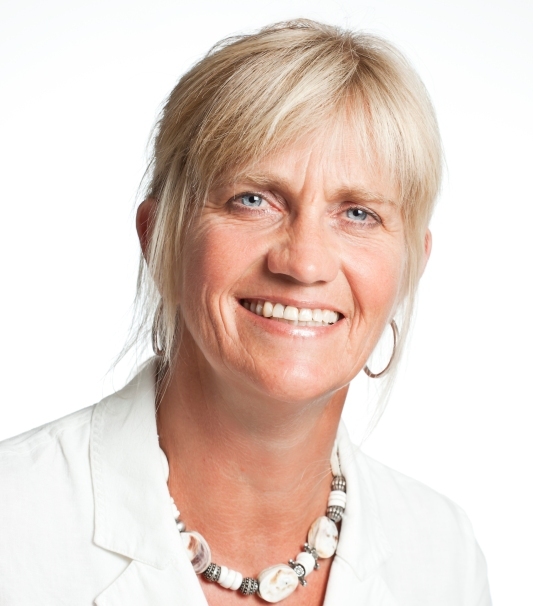 Annette has departmental responsibility for demand-driven knowledge development in Agro and the coordination of international work. She has over 25 years of experience in the field of agriculture and horticulture and long-term experience in areas such as water management, nature and regional policy and European affairs. At national level Annette has considerable experience with various (top sector) public private partnerships in areas including research. She has stimulated cooperation on societal challenges like food security for many years and sees an important role for agriculture in the challenge to improve food security worldwide. Annette’s international experience includes chairing the European Research Area – Agricultural Research for Development (ERA-ARD). 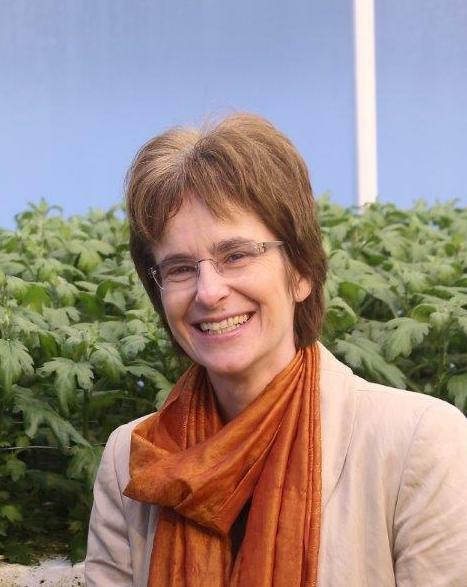 She’s also the vice chair of FACCE (European Joint Programming on Food Security, Agriculture and Climate Change) and a member of SCAR (Standing Committee on Agricultural Research) as well as different European research networks. 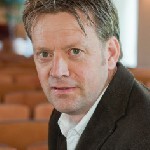 Frans Verberne is leading the Office team which facilitates the Food & Business Knowledge Platform. He is employed by Agri-ProFocus, a partnership that promotes farmer entrepreneurship in developing countries. Dutch member organisations connect professionals and expertise, provide inputs and facilitate knowledge exchange and innovation. The partnership has extensive networks at developing country level, the so-called Agri-Hubs. Frans graduated from Wageningen UR and has been working for nearly 30 years on sustainable development in different sectors such as rural development and agriculture. His focus was on development and evaluation of strategies, policy and programmes and on organisational and institutional change. He likes to deal with complex change processes in cooperation with multiple stakeholders. 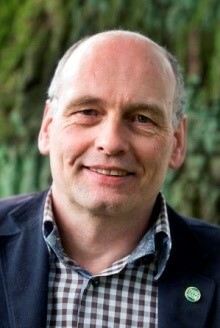 From 2002-2012, Frans was managing director of ETC Foundation, a Dutch based NGO / knowledge organization working on agriculture, access to energy and health in developing countries and the Netherlands. ETC is a facilitator of several unique international thematic partnerships. Frans worked for 10 years with Environmental Resources Management, an international consultancy. He started his career with IESA (Institute for Environment and System Analysis), worked on research and policy analysis and advised industry on environmental management. Jan Brouwers has worked in five continents for 25 years, combining research, lecturing, evaluations, policy, management and programmatic responsibilities. Jan is a person who enjoys helping people to come together and find improvements which are helpful to overcome structural problems. Presently he works as senior consultant for the Centre for Development Innovation (Wageningen UR). He leads the Innovation & Change thematic group and has a portfolio on multi stakeholder change processes, participative planning and M&E, policy advise and gender. His recent mayor assignments are: team member Food & Business Knowledge Platform; project director Nuffic project in South Africa (assisting 12 agricultural colleges); conceptual development on Theory of Change; and support for Dutch Embassies in formulating their strategic multi annual plans. Ine Martens has a Master in Translation from the Sub-Faculty Language & Communication of Lessius Antwerp. She worked for several years as a legal secretary in an international law-firm in Brussels, before moving back to Holland in 1998. In Amsterdam she worked as Office Manager and Personal Assistant for an Internet start-up. In 2004 she passed the exams for her Bachelor’s degree in General Marketing & Communications and started working at the Marketing department of a leading provider of market data technology. End of 2005, Ine decided to do full-time volunteer work in developing countries with children in need. The first two years she was the Project and Volunteer Coordinator for a Dutch NGO in Peru. Since November 2007 she is closely involved with the Dutch foundation DCF and has set up two projects for underprivileged children and families in Ecuador and Nepal. After eight years, Ine moved back to The Netherlands where she started working part-time as the Office Manager of the Food & Business Knowledge Platform. Ine generally supports the team in the day-to-day running of the Office. Nicole Metz (Knowledge Broker) is an all-round development professional with a strong commitment to contribute to sustainable changes that end poverty and promote equity. She combines an extensive experience in policy advocacy at national and international level, with experience working with civil society organisations in Africa and Asia. Building bridges between practice and policy, and between actors at the local level and those at national and international levels have always been among the key strategies of her work. Before joining the Office of the Food & Business Knowledge Platform and Agri-Profocus, Nicole worked with Oxfam Novib for 10 years. For part of that period, she worked as a policy advisor, most recently on the UN ‘post-2015 agenda’; and before that, as the knowledge management advisor for civil society partner organisations in Africa. Reinout Meijnen works as a part-time web editor for the Food & Business Knowledge Platform. He also has the same function for The Broker, an independent knowledge platform on globalization and development. For the Food & Business Knowledge Platform he will coordinate the development of a website that will serve policymakers, practitioners, businesses and researchers to debate and share knowledge and expert opinions in the field of food and nutrition security. 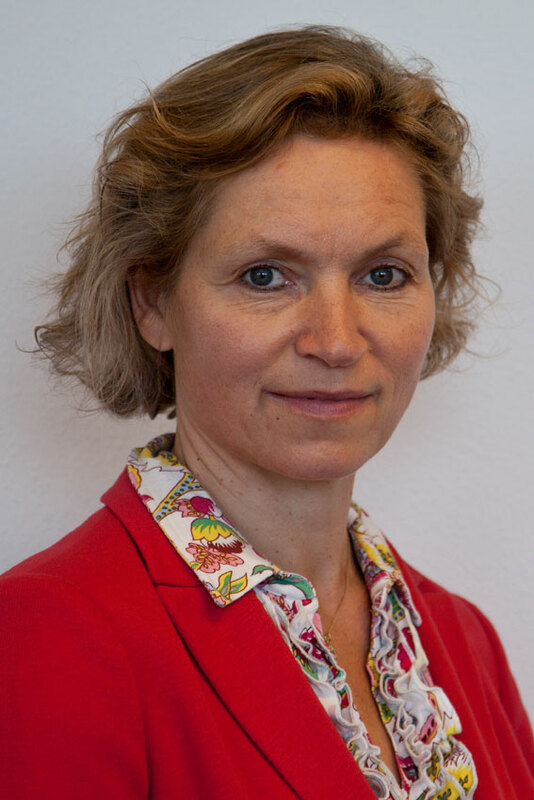 Vanessa Nigten is a global sustainable development specialist with theoretical and practical knowledge of Dutch and international development policies. She gained her experience in this field at the Scientific Council for Government Policy (WRR), Partos (the umbrella organization for Dutch NGOs), the Dutch expertise and advisory centre for citizenship and international cooperation NCDO, and the JongOS network for young professionals in development cooperation. Vanessa has a background in Sociology and Public Administration (University of Amsterdam), with focus on the Dutch Parliament, Burkina Faso and Citizenship. Presently from The Broker Vanessa works as a knowledge broker at the Office of the Dutch Food & Business Knowledge Platform. She has been working for The Broker as a research editor since September 2013. The Broker is an independent platform and online magazine on globalisation and development, bringing together cutting-edge knowledge and expert opinions from researchers, policymakers and practitioners. 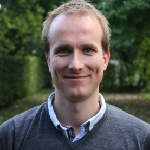 Evert-jan Quak works for The Broker as a senior research editor on the themes Inclusive Economy and Food Security. From The Broker he works as a knowledge broker at the Office of the Dutch Food & Business Knowledge Platform. He worked for years as a freelance journalist specialized in international economics, corporate social responsibility and trade issues. He has a degree in international economics and economic geography from the University of Utrecht, the Netherlands. He has a mixed professional background, in both journalism and as policy advisor in international development. He is the author of the book Het onzichtbare label (The invisible label – KIT Publishers 2009/10) in which he tackles the question why current corporate social responsibility (CSR) policies don’t seem to work. He started his work in journalism as freelance reporter in the Dutch Parliament. 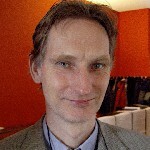 Klaas de Vries is consultant at the Centre for Development Innovation (CDI), a consultancy organization within Wageningen UR. He studied International Relations and International Organization at the Rijksuniversiteit Groningen where he focussed on the economic development of developing countries. 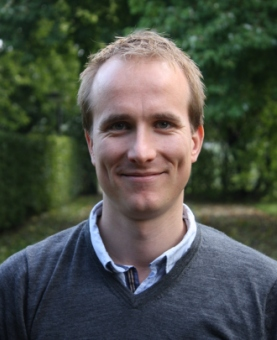 With working experience in the fields of food security and private sector development in Indonesia and Uganda, Klaas joined CDI in January of 2012. At CDI Klaas is currently designing and facilitating projects and courses for professionals in which there is a focus onlinking agriculture to nutrition to stimulate sustainable development. Furthermore, he is supporting Dutch embassies and ministries in developing and implementing policies with regard to food security and private sector development. As member of the food and nutrition security group in CDI, Klaas had the chance to contribute to the formation of Public-Private Partnerships in the development sector with a key role for the private sector. Klaas has also been active in agenda setting and knowledge sharing regarding the potential that food and nutrition security hold for sustainable socio-economic development. For example as course developer and facilitator, through the organisation of expert seminars, as member of the Seas of Change-event organising team and through media such as websites/portals and a newsletter for Dutch embassies. During 2012 year he also completed the Advanced Master International Development of the Radboud Universiteit Nijmegen. From The CDI he works as a knowledge broker at the Office of the Dutch Food & Business Knowledge Platform.